In FieldInsight, you can track your products, services and expenses, all through the 'Inventory' tab in your account. Your account comes with some items already added as 'Products'. You can select to edit these products or create new ones. Click the 'Edit' button under the item you'd like to update or click 'Add product' to create a new item. 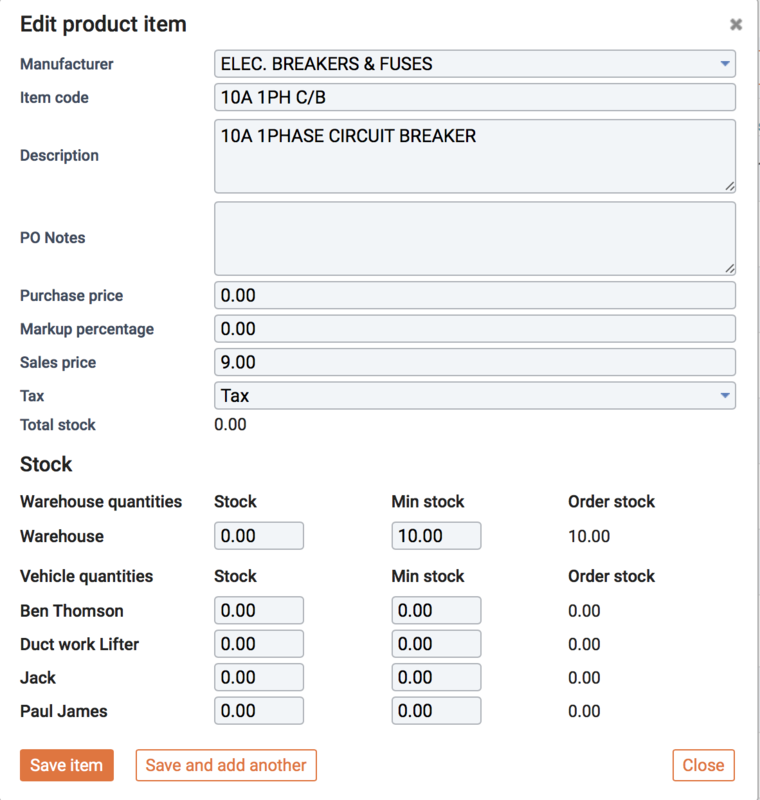 Once you select to create or edit an item, you'll be shown a smaller screen where you can update the manufacturer, item code, description, and add any purchase order notes (PO Notes). Under the 'Purchase Price' box, you can set how much you paid for the items. Set the cost customers pay under 'Sales Price'. FieldInsight will automatically update the 'Margin Percentage' based on the prices you enter in these two boxes. If you choose 'Tax' for the item, FieldInsight will automatically add the tax rate you specified in your account to invoices that have that item. At the bottom of the Edit / Create product item box is a field where you can update the stock of the item. Include how many items you have in stock at your warehouses, and (if applicable) in your company vehicles. 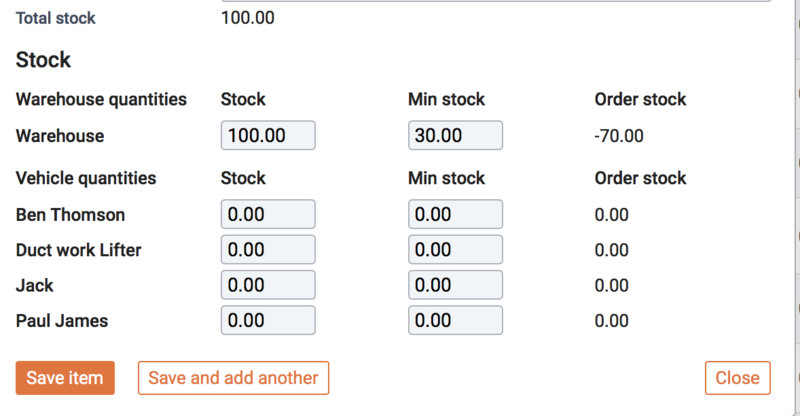 Use the 'Min stock' field to indicate when you should order more stock. The 'Order stock' number will update to show you how much stock you have left until you need to order more. After adding all of your inventory into FieldInsight (and any warehouses and manufacturers, if needed), you can also update the status of your products. You can also add Services and Expenses to your inventory tab.